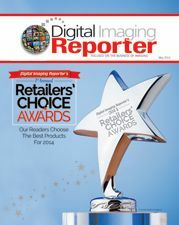 We’re pleased to present the winners of our first annual Digital Imaging Reporter Retailers’ Choice Awards. Our methodology was simple: we surveyed qualified photo specialty dealers with an online survey to find out which products were their favorites in each of 10 categories, in terms of product quality, support and ease of selling. With each question, we gave them three choices (chosen by our editors) and a space to write in their choice if it wasn’t listed, which many dealers took advantage of. The survey took place during the week of April 14th and reflected current products in the market. All of the responses were confidential, and we received a 30% response rate from our survey. Here are the winners and honorable mention products in each category. Nikon’s D4S was the runaway winner in this category, garnering over 65% of the votes. The Canon EOS-1D X was the honorable mention. Other cameras that received votes included the Sony a99 and the Olympus OM-D EM-1. There were votes for a variety of products in this category, but the Nikon D800 received 54% of the total votes. The Canon EOS 6D garnered honorable mention. The Olympus OM-D EM-1 also received mention, as did the Nikon Df. The Fujifilm X-T1 compact system camera was the big winner in this category, with 54% of the votes. The Sony A7/7R received honorable mention. 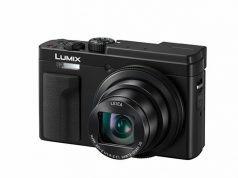 The Panasonic Lumix DMC-GH4 also did well in this category. The Fujifilm X100S was a solid favorite in this category, with almost 60% of the votes. The Sony Cyber-shot DSC-RX1 received honorable mention with over 25% of the votes cast, while the Sony DSC-RX10 and DSC-RX100 also received write-in votes. Nikon took another top award with the Coolpix P600, and the Olympus Stylus SP-100 garnered a number of votes to get honorable mention. The Sony DSC-HX400V came in a respectable third with 18%. In the only category where the write-in vote prevailed, the Ricoh WG-4 GPS narrowly beat out the Nikon Coolpix AW120 as the best in this category. The Fujifilm FinePix XP70 and the Olympus TG-3 also were mentioned as favorites in this hotly contested segment. 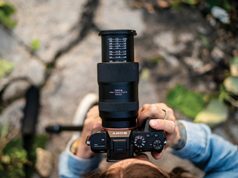 The Tamron SP 150–600mm f/3.5–6.3 Di VC USD lens dominated this category, with 80% of the first place votes, followed by the Sigma 150–500mm f/5–6.3 APO DG OS HSM lens, which took most of the remaining votes for honorable mention. 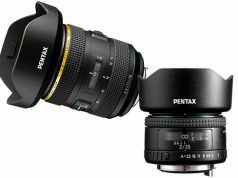 The Sigma 50mm f/1.4 DG HSM/A was the top winner in this category with a majority of the votes, followed by the Nikon AF-S Nikkor 35mm f/1.8G ED lens as honorable mention. The Nikon 85mm f/1.4 also received accolades, as did the Olympus M.Zuiko 25mm f/1.8 lens. Once again, the write-ins made this a close race, but Lowepro came out the winner as the favored camera bag brand. It was followed by Think Tank Photo with a large number of write-in votes for honorable mention. Manfrotto received several votes as well. The Nikon SB-910 AF Speedlight received over 50% of the votes in this category to capture first place, but the ProMaster FL1 Professional TTL flash came in as a strong honorable mention for this favored accessory. The Phottix Mitros+ TTL flash came in a solid third.